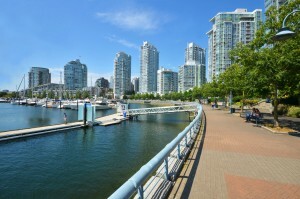 WELCOME TO QUAYWEST! This renovated, move in ready home along MARINASIDE is the one you have been waiting for. 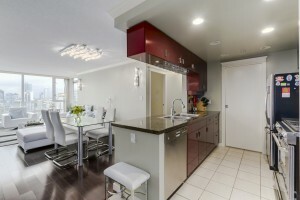 EXTENSIVE UPGRADES include: a beautiful KITCHEN with high end Jenn Air gas range, stainless steel appliances and Bosch dishwasher, engineered beautiful mahogany hardwood is found throughout the home, as well as custom built-ins and lighting. 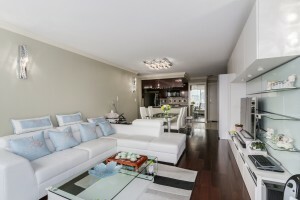 The EFFICIENT FLOOR PLAN makes this 2 BEDROOM, 2 BATHROOM home ideal and includes a STORAGE LOCKER (very in demand). 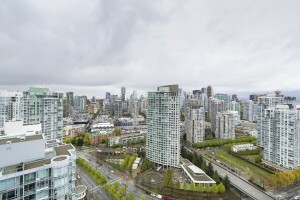 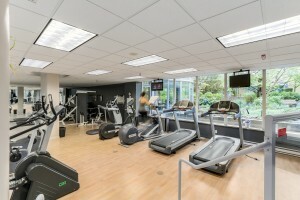 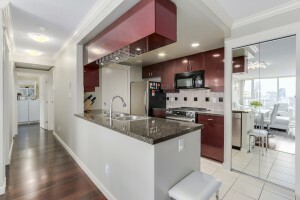 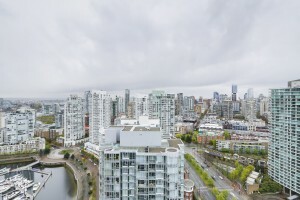 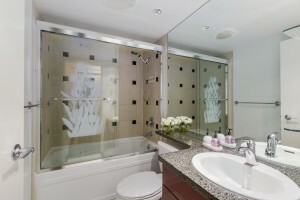 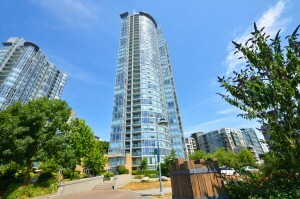 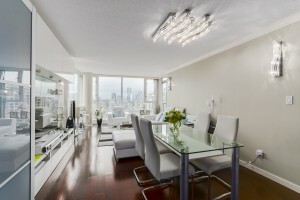 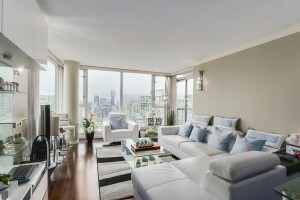 Situated along one of the most coveted streets in Yaletown, Marina views and sunsets are abound. 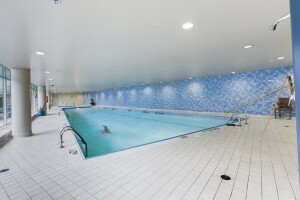 Club Aqua provides owners with wonderful amenities: 65′ indoor pool, hot tub, sauna, his and hers steam rooms, gym, board room, meeting room, lounge with billiards table, concierge & ample visitor parking.